When it comes to crossing the ocean with Azamara Club Cruises®, it really is about the journey and the destination. It’s also an opportunity to follow in the footsteps of great explorers and take the time to relax and revel in the experience of traveling. But more than that, it’s the perfect chance to fit in all the things you never have time for at home, or to try something new. So pamper yourself with breakfast in bed, bask in the sun, enjoy a little poolside reading, try a new fitness class, take part in seminars and lectures led by our onboard experts, catch a show in our Cabaret Lounge, and partake in a little late-night stargazing, Or simply relax and revitalize with our full range of spa treatments and salon services like massage therapy, facials, manicures, and more. 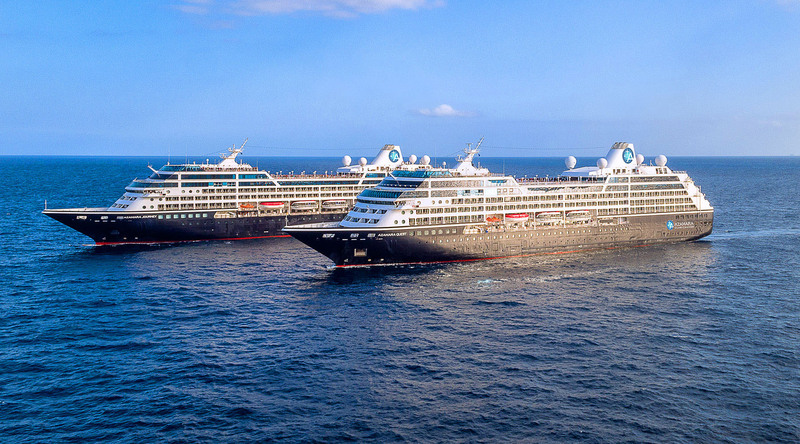 On a transatlantic voyage with Azamara, how much or how little you do is totally up to you. Drinks are always on us when you’re onboard our award-winning ships. Our inclusive amenities feature select standard spirits, international beers, and a rotating selection of wines by the glass. Don’t miss the Chef’s Table, an exclusive and unforgettable dining experience pairing multiple delectable courses with perfectly matched wines hosted by a senior officer or guest speaker. Travel around the world without ever leaving the ship as you sample everything from haute cuisine to delectable dishes made with local ingredients and prepared by our expert culinary team. Spend an unforgettable evening for two with our exclusive Nights in Private Places experience, featuring your own personal butler, a sumptuous buffet, and sleeping under the stars. Add to your knowledge with a variety of entertaining and interesting enrichment programs like guest lectures, wine tastings, computer classes, and more. Prove that beginner’s luck is real at the Casino Luxe, enjoy live performances of professional full-stage musical revues, and don’t even think about missing one of our famous poolside parties. Treat yourself to a little pampering from our professional aestheticians and therapists. Choose from an extensive list of spa services including massage therapy, body sculpting, facials, and more. Experience the benefits of the ancient Chinese practice of acupuncture and strengthen your immune system, dissolve stress, and restore the body’s natural balance and energy. Work up a sweat by trying a complimentary yoga class, or if group fitness isn’t your thing, book a session with a personal trainer and reap the benefits of specialised training.